There is increasing demand to develop more predictive models for liver toxicity due the fact that hepatotoxicity remains a major reason for drug withdrawal from pharmaceutical development and clinical use. INDIGO Biosciences, the recognized industry leader in nuclear receptor research, has completed development of an in vitro toxicology platform, meeting the demand for predictive liver toxicity models. INDIGO’s in vitro toxicology platform will allow for screening of chemicals for bioactivation and induction of hepatic drug metabolizing enzymes. 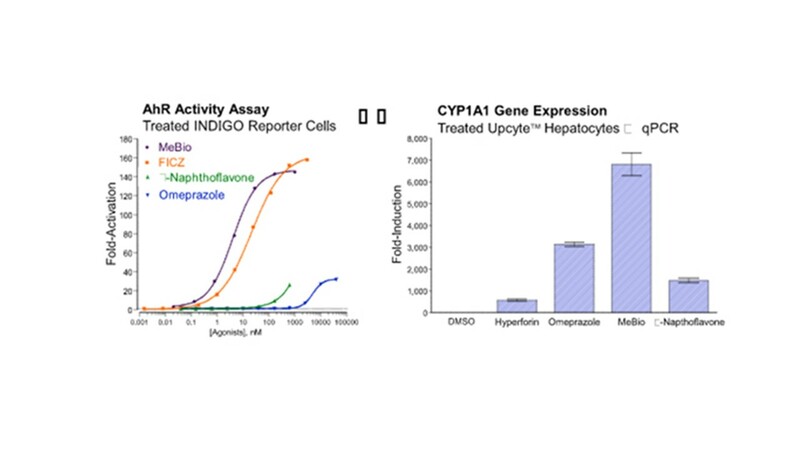 Based on upcyte® human liver cells lines, INDIGO has completed break-through development that decreases donor-to-donor variability while maintaining many Phase I and Phase II enzyme activities, comparable to primary hepatocytes. Utilizing this unique platform, INDIGO’s services lab can examine your compound’s potential to cause liver toxicity through metabolic activation or by induction of drug metabolism enzymes. Upcyte® hepatocytes contain equivalent activity of several cytochrome P450’s when compared to human hepatocytes, thus making the examination of metabolism-dependent toxicity biologically relevant. INDIGO can strengthen and quantify changes in the expression of target genes regulated by PXR, CAR, AhR, LXR’s, LRH-1, PPAR’s, and Nrf2. INDIGO Biosciences was founded in 2005 in State College, Pennsylvania, and has established itself as an industry-leading provider of both products and services focused on nuclear receptors. INDIGO offers both screening services and assay kits for the pharmaceutical, biotechnology, agri-business, nutriceutical industries, as well as government research agencies and academic researchers.